Focused and Free: What is a Christian? There seems to be some difference of opinion as to what it means to be 'Christian'. Some people think that because they are born in the United States, that means they are 'Christian'. Some people think that because they attend a 'Christian' church, they are themselves 'Christian'. But is it really that simple or is there more to it than that? To answer that question, let's turn to the Bible and see what it has to say about what it truly means to be "Christian'. In Peter's epistle (letter) he writes, "Yet if anyone suffers as a Christian, let him not be ashamed, but let him glorify God in that name." Biblically speaking, "Christians" are Christ-followers; people who have heard "the gospel message" and have given up their old way of living and thinking, in response to the "good news" that their relationship with God can be restored by trusting in the work of Christ. These are people who have been made aware of their need for God by the "Holy Spirit -- which is the Spirit of Christ (see Acts 16:7; 2 Cor 3:17; Gal 4:6). When a person opens their heart to Christ, their whole character changes and they seek to become Christ-like in everything they think, say and do. They abandon their former way of life which was characterized by pride, self-centeredness and self-seeking. 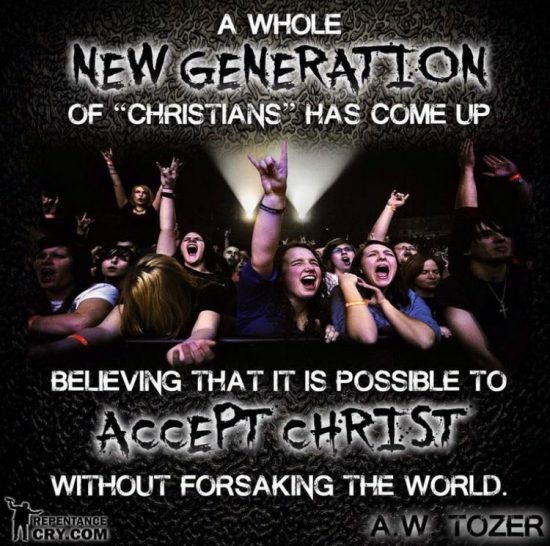 As a new person in Christ, their focus is on Christ. As such, humility replaces pride, and they learn to give instead of take. They desire to be holy and avoid anything and everything that goes against the will of God. They think upon God's Word day and night and become a living testimony to the love and goodness of God. 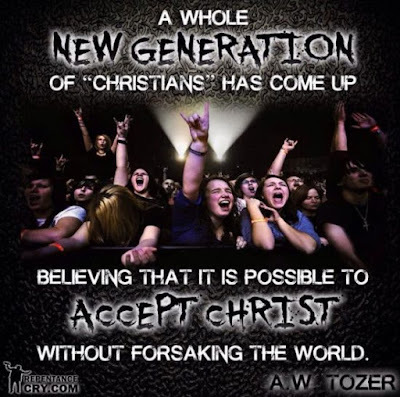 As a result, many of their former friends develop a strong dislike of the Christian's new life and will mock, tease and taunt their old friend. Some may even go so far as to be physically and emotionally abusive and do things to them in an effort to get them in trouble. This is to be expected, for it is just as Jesus said it would be for those who follow him (see Matt 10:22, 24:9; Mk 13:13; Lk 6:22, 21:17; Jn 15:18-19; 1 Jn 3:13). That is why Jesus warns us that those who desire to follow him must "count the cost" of doing so ahead of time (see Lk 9:57-62 and 14:25-33). "No one can serve two masters, for either he will hate the one and love the other, or he will be devoted to the one and despise the other" (Matt. 6:24 and Lk 16:13). Some people have the mistaken idea that if they turn their life over to Christ, all their troubles will go away. Such a teaching is false and causes many to turn their back on God. A Life in Christ will not put an end to the problems of this life. More often than not, troubles actually increase for those who choose to follow Christ -- simply because they did choose to follow him! God does not promise us an easy life here on earth. In fact, part of "counting the cost" is understanding that we will receive our reward in heaven. We must first overcome (or conquer) the trials and temptations that are part-and-parcel of our life on earth (see Rom 12:21; 1 Jn 5:4-5; Rev 2:7,11,26, 3:5,12,21; 21:7). Christianity is not a form of "fire insurance" -- something to believe just in case hell is real. True Christianity is an intimate journey into the heart of God. 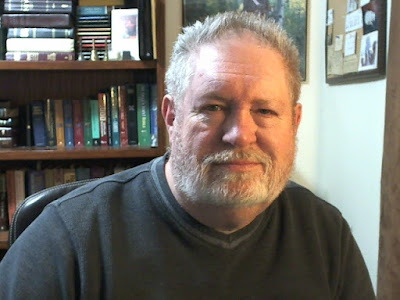 Christianity is not about religion -- rituals and legalistic observation of a set of standards has absolutely nothing to do with following Christ and everything to do with the traditions of men. Rom 6:5 - Since we have been united with him in his death, we will also be raised to life as he was. Rom 7:4 - So, my dear brothers and sisters, this is the point: You died to the power of the law when you died with Christ. And now you are united with the one who was raised from the dead. As a result, we can produce a harvest of good deeds for God. 1 Cor 1:30 - God has united you with Christ Jesus. For our benefit God made him to be wisdom itself. Christ made us right with God; he made us pure and holy, and he freed us from sin. Gal 3:27 - And all who have been united with Christ in baptism have put on Christ, like putting on new clothes. Eph 1:3 - All praise to God, the Father of our Lord Jesus Christ, who has blessed us with every spiritual blessing in the heavenly realms because we are united with Christ. Eph 1:11 - Furthermore, because we are united with Christ, we have received an inheritance from God, for he chose us in advance, and he makes everything work out according to his plan. 3Whatever happens, my dear brothers and sisters, rejoice in the Lord. I never get tired of telling you these things, and I do it to safeguard your faith. 2Watch out for those dogs, those people who do evil, those mutilators who say you must be circumcised to be saved. 3For we who worship by the Spirit of God are the ones who are truly circumcised. We rely on what Christ Jesus has done for us. We put no confidence in human effort, 4though I could have confidence in my own effort if anyone could. Indeed, if others have reason for confidence in their own efforts, I have even more! 5I was circumcised when I was eight days old. I am a pure-blooded citizen of Israel and a member of the tribe of Benjamin—a real Hebrew if there ever was one! I was a member of the Pharisees, who demand the strictest obedience to the Jewish law. 6I was so zealous that I harshly persecuted the church. And as for righteousness, I obeyed the law without fault. 7I once thought these things were valuable, but now I consider them worthless because of what Christ has done. 8Yes, everything else is worthless when compared with the infinite value of knowing Christ Jesus my Lord. For his sake I have discarded everything else, counting it all as garbage, so that I could gain Christ 9and become one with him. I no longer count on my own righteousness through obeying the law; rather, I become righteous through faith in Christ. For God’s way of making us right with himself depends on faith. 10I want to know Christ and experience the mighty power that raised him from the dead. I want to suffer with him, sharing in his death, 11so that one way or another I will experience the resurrection from the dead! 15Let all who are spiritually mature agree on these things. If you disagree on some point, I believe God will make it plain to you. 16But we must hold on to the progress we have already made. 17Dear brothers and sisters, pattern your lives after mine, and learn from those who follow our example. 18For I have told you often before, and I say it again with tears in my eyes, that there are many whose conduct shows they are really enemies of the cross of Christ. 19They are headed for destruction. Their god is their appetite, they brag about shameful things, and they think only about this life here on earth. 20But we are citizens of heaven, where the Lord Jesus Christ lives. And we are eagerly waiting for him to return as our Savior. 21He will take our weak mortal bodies and change them into glorious bodies like his own, using the same power with which he will bring everything under his control.